The University Of Maryland Baltimore (UMB) works around the world to enhance capacity of governments, Regional and District Health Management Teams to improve quality of health services through targeted technical assistance, systems development & strengthening, and institutionalization of quality improvement initiatives. 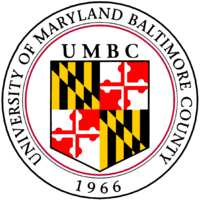 In Tanzania UMB works through its affiliate, Maryland Global Initiatives Tanzania (MGIT) a not for profit organization. Supports all strategic information, monitoring and evaluation activities. The Monitoring and Evaluation Advisor will provide support to all RHMT level activities on the project, he/she will ensure all collected project data are complete, clean and valid. The M&E advisor will assist and/or lead in M&E capacity building to RHMTs & IPs, she/he will conduct routine data quality assessments and provide reports on the assessment and findings. The position holder will provide inputs and technical support for the design and deployment of HMIS and M&E tools, provide mentorship to RHMT and Local Implementing Partner in all HMIS and M&E activities, build capacity building to R/CHMT and LIP on data demand and information use, as well as performing any other duties assigned by the supervisor. Provide technical assistance in support of surveillance, monitoring and evaluation (M&E) activities in the assigned unit; and in the development and dissemination of tools, materials, reports, papers, and intervention linked research. Assist the DME (Director of Monitoring and Evaluation) to coordinate all monitoring and evaluation for UMB projects in Tanzania. In collaboration with the Director of Monitoring and Evaluation, participate in training Local Implementing Partners(LIPs) staff in paper based and electronic Health Management and Information Systems including specialized training in CTC2 and DHIS2 databases, and other appropriate software packages that may be used in REACH data management. Responsible for providing technical assistance, developing and setting up systems for the timely collection, management, analysis, and reporting of valid and reliable data. Focus on strengthening the M&E system and building capacity of partners and staff. Coordinate activities for the compilation of Quarterly, Semi-Annual Program Report (SAPR)/Annual Program Report (APR) of LIPs for Prevention of Mother to Child Transmission of HIV (PMTCT), Care and Treatment and HIV Testing and Counselling (HTC) programs. Perform quarterly data analysis on the program performance review against target. Obtain database backup from the LIPs (monthly) and update the backup database. Under the Director of Monitoring and Evaluation, perform any other duties as desired in the overall program management. Manage deployment and operations for all elements of HMIS. Network with other regional team leads on best practices and Continuously Quality Improvement techniques. Participate in regional workshops and meetings to increase awareness and support REACH activities and enhance team performance. Perform any other duties and responsibilities assigned by immediate supervisor as required. Keep all documents and information related to MGIT’s program activities, personnel and development plans confidential. Adhere to MGIT’s principles of confidentiality in relations to staff, partners, vendors and other. 3. Report to the management potential irregularities or any misbehavior that occurs. • Minimum of 5 years of working experience in the field of Strategic Information/Monitoring and Evaluation with recognized international NGOs and or UN agencies. • Relevant computer software skills; including the standard applications of MS office. • Must be self-starter with excellent demonstrated teamwork skills. • Capable to work in a multi-national/cultural environment. • Possess good interpersonal, Communication, and organizational skills. ii. Applications should include 3 references that are familiar with applicant’s work experience preferably in the last 5 years. References should include contact information including daytime phone, and e-mail address. iii. All applications should include a cover letter that details one’s suitability for the job highlighting key functional areas, expected qualifications, and experiences. v. Job related stated qualifications and experience are the basic minimum requirements that each applicant must meet to be considered for interviewing. vi. All applicants should include daytime phone contact information. vii. Deadline for application is December 13th , 2017 5:00PM Tanzania Time. Applications received after the deadline will not be considered.